Let PakWheels help you with car finance whether you are looking for a new car or used car. Calculate installments, compare banks and get connected to the best one with fastest processing times. PakWheels is making tools that help users in buying vehicles on Auto Financing.Various Banks are offering New and Used Cars on Finance. HBL Car Financing, Dubai Islamic Bank Car Financing, UBL and Faysal Bank Car financing are few examples of Popular Car Finance Options in Pakistan, offering Cars on Installments. Banks and other financial institutions were not very keen on offering Car Leasing arrangements for used cars until the recent growth of used cars sector, especially the imported cars. Most of the leading banks in Pakistan are now offering used/imported cars financing alongside the brand new cars financing like HBL offering HBL Car Loan scheme for both new and Used Cars on Installments. Although the Car Finance processing would differ from bank to bank, but generally it follows the same procedure. The process, documentation, and eligibility criteria are also mostly same for both new and used cars financing with little variation from bank to bank. Banks would normally require an applicant to meet certain eligibility criteria, produce documentation and give financial security for the purpose of initiating Car Financing. Eligibility criteria for Auto Finance would normally require one to be a citizen of Pakistan between the ages of 22 to 65. This age bracket differs from bank to bank with minor differences. Applicant should have a steady source of income to afford the Car Installments. This source of income may include salary income, rental income, agricultural income or income from the business. 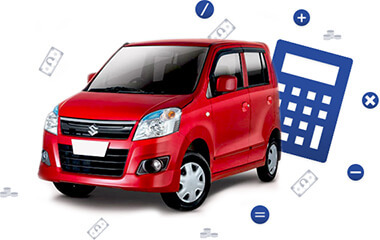 Car Loan Calculator helps to determine monthly Car Installment. Documents required would normally be passport size photograph, copies of National Identity Card, Bank statements for a certain past period (to ascertain the steady income), and salary certificates for salaried individuals. Additional documentation may also be needed from some other banks. This will widely depend on the source of income. Once the eligibility criteria are met and documentation is in place, financing case is forwarded for further processing. This involves the verification of case. Pre-approval checks shall be established to ensure the financial stability to minimize the risk on bank’s end. Once the bank has approved this facility, the car is arranged and delivered to the customer. This will obviously include the upfront payments from the customer.Car Leasing Options has made easier to Buy Car on Installments while you can calculate monthly Car Installment through Car Finance Calculator. Car financing rates are currently varying between 17% to 21% depending on the term of financing and type of arrangement. For variable interest rates, it is varying between KIBOR+3% to KIBOR+5% depending on same variables.